Not so long ago, on a bright Sunday afternoon, I was browsing the website of one of the United States’ leading public policy organizations, Brookings Institution, and I stumbled across a series of Essays on Character and Opportunity. The short essays, written by distinguished academics from leading universities and research centres, explore views on the issues raised by a policy focus on the formation of character, and its relationship to questions of opportunity. Does character matter as much as cognitive (IQ) skills? Can skills or capacities be both acquired and developed, or are a few lucky ones just born with the right genes? These are the kinds of big questions that these academics were (and still are) trying to answer. It turns out, one of the essays, written by Nobel Laureate in Economics James Heckman, struck a particular chord. While Heckman’s essay explores the development of skills during childhood and its relation to character building, his insights apply equally well to learners or students of any age, which means you and me. In his short essay, Heckman underlines that the development of skills takes place within a vital “scaffolding.” Scaffolding, he points out, consists of an adaptive strategy that recognizes the current capacities of the learner and guides him or her to further learning without too much frustration. Activities are tailored to the individual learner’s current ability – it must be neither too hard nor too easy – in order to keep them in the “zone of proximal development,” the level of difficulty at which the learner can learn the most. This adaptive strategy in fact applies to teachers and educators; the zone of proximal development is typically defined as an area of learning that occurs when a person is assisted by a teacher or peer with a skill set higher than that of the subject, a concept widely used to study children’s mental development as it relates to education. The student learning the skill set cannot complete it without the assistance of the teacher or peer. The teacher then helps the student attain the skill the student is trying to master, in hopes that the teacher will no longer be needed for that task. Scaffolding is a process through which a teacher or a more competent peer helps the student in his or her zone of proximal development as necessary and tapers off this aid as it becomes unnecessary, much as a scaffold is removed from a building after construction is completed. The concept of a zone of proximal development and scaffolding can, in my view, be adapted to the context of an adult self-learner who has enough self-awareness to recognize his/her current capacities and, as a consequence, who is capable of tailoring (language) learning activities to those capacities. Perhaps because it’s rarely thought of as a strategy to use as part of one’s toolkit, the above-mentioned concepts rarely seem to be adhered to by language learners. Rather, most of us tend to do things without any clear, well-thought-out plan of action. The thing is, it’s a very important concept to grasp for those wishing to develop (or teach) any sort of skills either independently or with a tutor, be it playing the guitar, doing algebra and calculus, or, you may have guessed it, learning a foreign language. In short, then, a good learning strategy is one that actively seeks the right scaffolding for your skill development. And based on my experience learning several languages over the past 6-7 years, I couldn’t agree more. In fact, I have conducted a multitude of interviews with some of the most impressive and accomplished polyglots on this planet, and one thing I noticed is that they all paid careful attention, whether they realized it or not, to the boundaries of the scaffolding within which they needed to develop their language skills. After reading the essay mentioned above by Nobel Laureate James Heckman, I decided to do a bit more research, because the idea that the development of skills needed to take place within a scaffolding is something that reminded me of another theory I’d read about some time ago: flow theory. And I thought these two ideas applied like a glove in hand to the field foreign language acquisition. So what exactly is flow, you might ask? Flow, also known as zone, is the mental state of operation in which a person performing an activity is fully immersed in a feeling of energized focus, full involvement, and enjoyment in the process of the activity. In essence, flow is characterized by complete absorption in what one does. Maybe you’ve seen one of those virtuoso guitarists enter a trance-like state when performing on stage, or chess grandmasters in competitions with razor sharp focus immersed in their hours-long game. In fact, it’s likely that you yourself have at some point gotten entirely absorbed by the work you were doing, so much so that you forgot about the time and almost “woke up” from your trance-like state at some point only to find out, to your disbelief, that a couple of hours had already passed in what seemed like minutes. Mihaly Csikszentmihalyi (whom I’ll just call Mihaly, but I invite you to try to pronounce his last name), a psychologist that has done a lot of research surrounding this idea of “flow”, has featured in an interesting TED Talk in which he looks to those who find pleasure and lasting satisfaction in activities that bring about a state of flow to find an answer to the perennial question: “What makes a life worth living?”. Mihaly, along with colleagues from around the world, conducted over 8,000 interviews of people who enjoy their work—from Dominican monks, to blind nuns, to Himalayan climbers, to Navajo shepherds. And regardless of their culture or education or else, there are a number of conditions that Mihaly and his colleagues noticed were present when a person is in flow, such as focus that, once it becomes intense, leads to a sense of ecstasy, a sense of clarity: you know exactly what you want to do from one moment to the other; you get immediate feedback. You know that what you need to do is possible to do, even though difficult, and sense of time disappears, you forget yourself, you feel part of something larger. And once the conditions are present, what you are doing becomes worth doing for its own sake. The overwhelming majority of those Mihaly interviewed–that is, those who had reached a state of flow–had upwards of 10 years of technical-knowledge immersion in a particular field. And while language learning is certainly different from practicing extreme sports, climbing the Everest, or being a professional chess player, the point is that flow theory tends to support the idea that the development of skills should take place within a vital scaffolding; put another way, you should practice a particular skill at a level that is always slightly harder than the level you are at (in order to keep things fun and challenging), but not too easy or too hard to make it either too boring or frustrating. As you can see from the graph, flow happens in a situation where a high level of skills is required in a highly challenging situation. If you’re highly skilled in a particular thing (say, a foreign language), and you’re going through a first year textbook, looking at that graph tells you that you would probably feel relaxed, bored, or somewhere between the two. Think of going back to a textbook containing basic grammar rules that by now you would have internalized long ago. If we reverse the situation, and you are a beginner going through a fourth year textbook, you are likely to feel anxiety and worry. Kind of makes sense if you think about it, doesn’t it? The simple point that you should take home from this is that your level of skills should closely match the level of challenge of whatever material you are going through, but you should aim for something that’s always slightly more challenging than your current abilities would normally call for. I have seen tons of language learners go through material that was simply too advanced for them (say, trying to read a complicated novel in Spanish when you’ve only been learning the language for a year), resulting in frustration (i.e. having to look up every other word in the dictionary), anxiety (the feeling that you’re incapable, or lacking in talent) and worry. 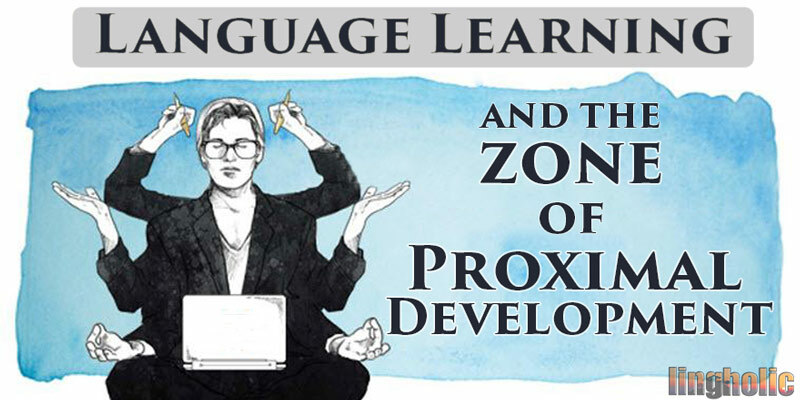 This is essentially the point of the zone of proximal development: language learning activities should be tailored to your current ability – it must be neither too hard nor too easy. If you find yourself looking for the definition of every other word you come across, you’re probably going through material that is too difficult for your current level of skills. While a good challenge is always nice, the point is that this is not very efficient and it’s not a good long-term strategy. After all, you wouldn’t want to turn language learning into an anxiety-inducing chore, would you? What separates experts from the rest of us, apart from the fact that they are very much aware of their zone of proximal development, is that they focus on their technique, stay goal-oriented, and get constant and immediate feedback on their performance. Remember that when you want to get good at something, how you spend your time practicing is far more important than the amount of time you spend. In fact, in every domain of expertise that’s been rigorously examined, from chess to violin to basketball, studies have found that the number of years one has been doing something correlates only weakly with level of performance. 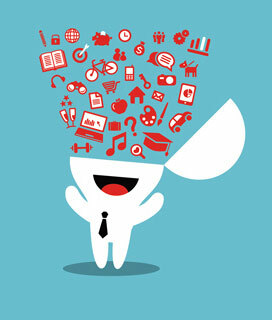 This means that armed with the above information in mind, coupled with a solid awareness of your current capacities and a goal-oriented (or should I say, input-oriented) strategy to foreign language acquisition, you’ll soon be finding yourself more motivated and making more progress in less time. But that, of course, doesn’t mean that learning a foreign language will suddenly become a cakewalk. You’re probably wondering at this point whether it’s possible to avoid that zone of low skills, low challenge level, which is described by the emotion of “apathy” or “boredom” in the above graph on flow. Well, the short answer is that it’s an unfortunate stage that you’ll have to go through – you can’t avoid having to learn the very basics (vocabulary, verb tenses, pronunciation) before being skilled enough to attack interesting and engaging material. And that’s probably one of the reasons why, not too surprisingly perhaps, the majority of language learners throw the towel at this early stage and decide to give up (as is the case with the development of many other skills). Indeed, most language learners fail to reach an intermediate stage in a foreign language (a 2012 European Union Working Document has data showing that the share of students in school reaching the level of “independent user” in their first foreign language is 9% in England and 14% in France). That being said, while this zone of “apathy” is unfortunately not entirely avoidable, there are certainly strategies that can be employed to minimize the risks that the learner gives up in those early stages of the language learning journey. By keeping your eyes on the prize (the control, excitement, flow, etc. that you’ll reach at later stages), by developing solid habits, and by gradually increasing the level of challenge of language learning material as you progress and gain skills—and perhaps more importantly, by starting to vary the kinds of material you go through as you reach an intermediate stage—you’ll be able to keep going and eventually reach a point where you can truly begin enjoying learning and using your target language. But as with the development of any other skills, language learning requires a lot of work, dedication, and patience. 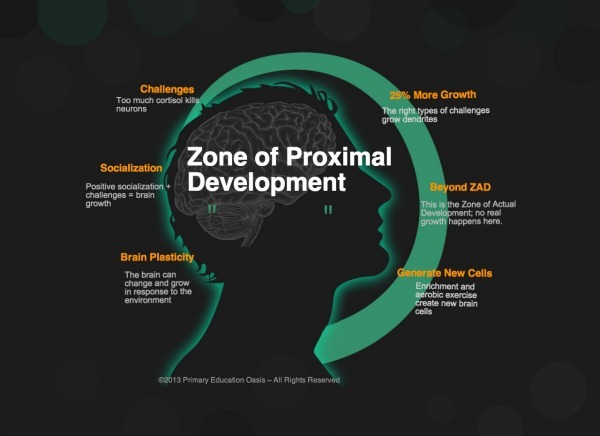 What is Your Zone of Proximal Development? I’m curious: have you ever found yourself stuck in a rut, trying to make improvements but seeing very little change despite spending a lot of time and effort on something? Do you think it may be related to the fact that your level of skills did not closely match the level of challenge of the learning material you were going through? Or have some of the topics covered in this article struck a chord in any way? I’d love to hear about your experiences – whether success of failures – learning languages and whether this article has helped you in any way. Feel free to comment below and don’t forget to share this article widely! and the ZPD…perhaps I’m not the only one who finds Vygotsky intriguing – there are some areas within his work, outside the ZPD, that I believe deserve a bit more attention, especially for linguists, such as his work on thought and language. I haven’t heard too much about “Flow” theory, but from what I’m reading it looks like it doesn’t have anything to offer for helping any field of linguistics; Vygotsky’s studies and the ZPD is not only more credible at this point but is much more useful for the idea of scaffolding and the thought/language dynamic. My first impression is that “Flow” has all the marks of a faddish, self-help, pop psychology book where (having been subjected to meetings on the latest training fads myself) I can only imagine the looks on some disgruntled employees forced to go through “Flow” workshops where everyone tries to obtain “optimal experience” and “inner enlightenment,” something akin to Michael Scott and “The Office.” But again, first impressions. Good stuff, glad to see the ZPD gets a mention. That said, Mihaly Csikszentmihalyi is a Ph.D. and former head of the department of psychology at the University of Chicago. He has written over a dozen books and countless articles on varied areas of research. In this respect, I would not label flow theory has a faddish, pop psychology concept based on little research and hype. Rather, it’s a theory that has gained wide acceptance and it has been studied in depth; as the article I’ve written points out, Mihaly has conducted over 8,000 interviews around the world – that’s a lot of hard data and a lot of observations and it supports a solid theory. Based on the above, I thought flow theory had many areas of complementarity with ZPD/scaffolding, since technical experts who manage to reach such high levels of skills as those mentioned in Mihaly’s study usually follow a set of steps that involve scaffolding, and knowing their level of skills and maintaining constant interest and motivation by doing exercises that keep ythem challenged without behind too hard to bring frustration or too easy to bring apathy. Overall, I think flow theory, along with ZPD and scaffolding, are fascinating areas of research and they present tools and concepts that can come very handy to students wishing to acquire a particular skill, including foreign language skills. I don’t mean to knock the studies done or put everything about flow theory into a bad light (inevitably my online humor does that for me! ), but from what I’m currently reading (and for discussion’s sake) since measuring someone’s “flow” experience is primarily questionnaire based, and considering, in the context of the classroom, asking students if they liked a game, if (they thought) the movie aroused their imagination, if they would discuss topic xyz again, etc. would all fall into the subjective realm. So using the questionnaires based on finding “flow” indeed can be useful as another tool to find what students like to do, what language learners like to do for themselves, and how to better initiate the scaffolding process. I will have to read further to see how the studies dealt with possible placebo effects, but I can definitely see the refinement of flow questionnaires as a way to get a better idea of what stimulates and what does not, and perhaps how it relates to other studies of motivation. I also forgot to say congratulations on your Korean competition – I envy your skills. This is as simple as the plain work out to make the language learning procedure easing along with comfortable in all the way. It does not seem unreasonable to suggest that every single pointed out factors and favors are very much in demand to get it heart the language of different patterns. Therefore this is an ample opportunity to make to make proper as well as precise process flows to learn the language in smooth way. Thanks for sharing. I can attest to both flow and proximal development in my own language learning experience. Proximal development reminds me of personal trainers advocating that one should strive for one’s level of discomfort (as opposed to pain) in order to achieve a higher level of fitness. If I sense that I am reaching my limit of tolerance, I will stop or at least pause before progressing. Another principle that I also incorporate is to start with a basic schedule or framework and allow it to evolve and grow over time. Therefore, it is not only the language that develops, but also the structure for learning it. The structure allows me to accomplish more in a set time frame and add more difficulty in order to advance. At times, one may need to be content with maintaining a level for a given period until the structure has developed enough to sustain a more robust level of consistent practice. The ZPD is one of the few academic educational concepts I learned about in my theoretical coursework that made absolute sense out of the gate. It’s easy to spot in others, in yourself, and even in informal activities or hobbies. I’ve noticed it while playing video games that require precise spatial thinking, a weakness of mine, or strict timing elements. I’ve started to notice it on the occasions I’ve read to my friend’s children; if the book is too complicated I struggle to pronounce words and get through sentences with any kind of proper intonation, but if the sentences are shorter but have some new words, I can learn from context and read slightly ahead like I would in my native language. I also read better, with less stutter and with more feeling. Learning Finnish is often frustrating because I feel like I’ve made little progress and I still freeze in conversation a lot of the time, but small benchmarks show that progress HAS been made. Too easy? Frustrating, because you don’t get a sense of accomplishment that would motivate you to continue. In knitting, finishing something you knew was challenging, like a lace shawl that required attention to a pattern, is such a great feeling- and it’s not at all uncommon to ride that wave of motivation into immediately casting on for a new project. Too hard? You get stuck, or plateau, and it’s hard to get out of that rut. I hate feeling stupid. For a very long time my sense of self-worth was tied to the intelligence I perceived I was projecting and my ability to at least appear competent. Now, I’ve mostly learned that ‘good enough’ is usually good enough, and I can divert mental energy to the places where it counts, like my job. It’s wonderful to get into that zone where time passes but you don’t even realize it because you’re so engaged in what you’re doing. I just wish it were easier to know whether my own students were in their own ZPDs so I could best teach them. It’s much easier to determine one-on-one, what I mostly do, than in a group.